This high caliber reference offers readers a dynamic colourful depiction of handguns significant to days gone by. More than 20 models from the 1900s are covered - the Colt SAA, Smith & Wesson.357 Magnum, Walther P-38, Beretta 92 - reminiscent of the days of gunfighters and cowboy action heroes. 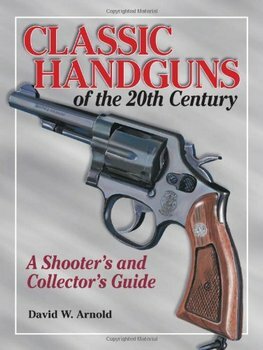 Based on the series of featured 20th century handguns from Handguns magazine, each chapter will include thorough coverage of a specific model, including historical significance of the model; technical specifications; timeline of design changes, variations, finishes and material; information on derivatives and clones; collector values; and handling and operating characteristics. Full-colour historical photographs offer readers a nostalgic glimpse into the past life of popular 20th century handguns.